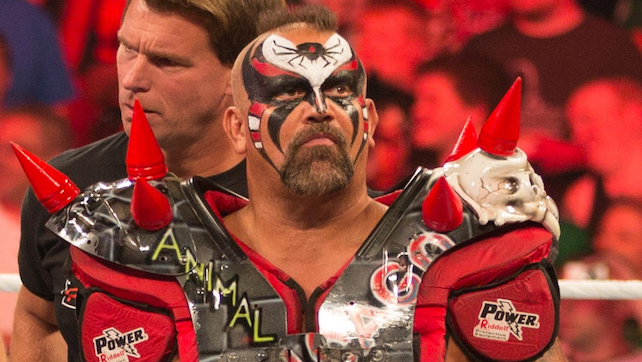 Road Warrior Animal was recently the subject of controversy after recent remarks on his What a Rush podcast regarding WWE Superstars Becky Lynch and Tyler Breeze. Road Warrior Animal returned to his What A Rush podcast to address both Becky Lynch and Tyler Breeze, and did not back away from his initial remarks, “First of all, Becky Lynch needs to get over herself, first and foremost. When Becky Lynch can achieve what I’ve achieved in the sport of pro wrestling, then she can call me out. Other than that, she has not earned her stripes to call me out. I just want to make that perfectly clear and I don’t think anybody in the wrestling world will have any objection to that.